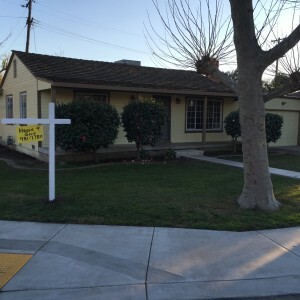 Cash House Buyers in Sacramento, Stockton and Modesto Saved the housing market! My name is Peter Westbrook and I am a real estate investor in Sacramento, Stockton, Modesto, Manteca, Lodi, and Tracy, CA. 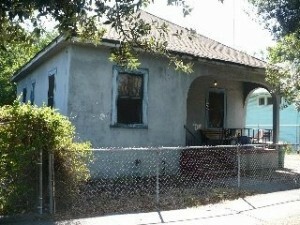 Did you know that Cash Home Buyers in Sacramento Pay True Market Value for Houses? There is a myth in the real estate industry that; real estate investors, otherwise known as cash home buyers, pay less than traditional home buyers for the same houses in the same neighborhoods. The truth is there are bidding wars everywhere and cash home buyers have consistently out bid traditional buyers at every step. First time home buyers are complaining that they can’t compete with the cash Home buyers. The notion that Investors buy at discounts is a complete and utter fabrication by journalists and real estate professionals that just don’t understand the real estate market, economics and money; probably all three. The idea that investors are receiving discounts as a way to purchase a home is not supported by the data. 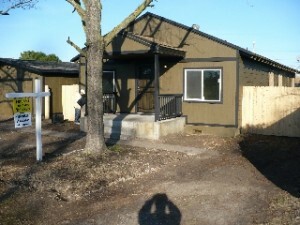 Cash Home Buyers in Sacramento Pay True Market Value for Houses! The myth is promulgated by the real estate industry itself and specifically those representing real estate agents, (National Association of Realtors) that have spent millions of dollars to make themselves relevant in a recovering real estate market that has forever changed and left many sellers and buyers agents behind. Gone are the days of exclusive access to the data that once fed the Multiple Listing Service and polished comparative market analyses that put real estate agents at the head of the buyers and sellers table. It used to be that if you needed to sell a house, you needed to hire a real estate agent to tap into the vast database of the MLS to determine your properties “true value” and most important you needed to access the closely guarded and vast database of House buyers that were represented by real estate agents. Technology has changed that process forever and as a result, traditional house buyers including cash house buyers have become very sophisticated in finding properties that were once considered the exclusive property listings of real estate agents. Also nearly extinct are the secret pocket listings, (very hush, hush listings that real estate agents kept in their “back pockets” to dole out selectively to cash buyers) as a staple for many real estate agents that routinely sold properties under the radar to make a quick 6% commission (acting as both the Sellers and Buyers agent at the sellers expense). Even before the crash of the real estate market, Investors were staples at every county court house across the country buying houses at either tax sales or foreclosure auctions. Labeled discount seekers, bargain hunters, and bottom feeders these cash home buyers represented the purest form of commerce. Bidding in cash for houses lost by their owners to banks and municipalities. These auctions provide the an opportunity to buy houses at a discount, but because of the extra risk involved, fewer people are interested in the property than if it were available through traditional channels, and as a result prices can be lower. Auction properties aren’t always great deals, but the potential to get a great deal is such a big draw that, for many people, it compensates for the numerous potential drawbacks of buying an auction property. Properties being auctioned off aren’t necessarily diamonds in the rough. 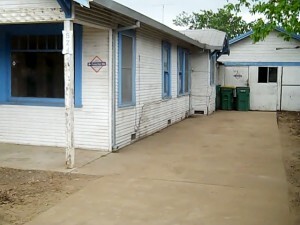 If a property is in an auction, it means the homeowner could not afford to keep it and maintain it. Most of these properties are vacant houses, have serious deferred maintenance problems. They are generally trashed, vandalized, gutted of recyclables (copper wire and pipes) and severely neglected. 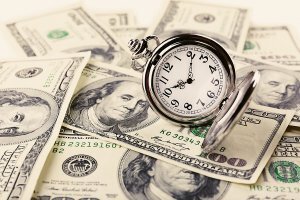 Often times there are other unpaid debts by the previous homeowner such as liens against the home, like tax liens, contractor liens, or even a second mortgage. Tracing any myth to its origin can be difficult especially when it’s a commonly held belief. But in most cases I have found that most myths and misconceptions are bred by a super small percentage of events that are so outrageous that it is over-inflated by the media that most on the side lines believe it to be true. In my research and experience I have also traced it back to the bubble of the real estate market in 2008 when lenders, traditional sellers, traditional buyers and real estate agents were almost overnight; sidelined by plunging real estate prices and the inventory of homes that far surpassed that of potential buyers. Real estate agents feeling the pressure, knew that if you couldn’t sell houses then you couldn’t eat and many exited the field to pursue other more lucrative careers. As those real estate agents exited, those that remained struggled to remain relevant and often retooled their businesses to better reflect the current state of the real estate market. Some became cash home buyers as well and others property managers, either way they dug in and found different ways to survive. One thing was for certain, the traditional real estate agent was not seated at the head of the table any longer and they as a group were not equipped to save an industry so ravaged by the foreclosures crisis and the bursting real estate bubble. When you factor in the recession that had plagued the economy, double digit unemployment, no new housing starts, constriction of credit in all sectors, closings of banks and financial institutions in record numbers and real estate at a standstill, Cash Home buyers swooped in and not only created a whole new category of Home Buyer at a time when the country needed it most, they certainly can be credited for saving the housing market and rightfully gained control of an industry that had previously been dominated by the banks and real estate agents. 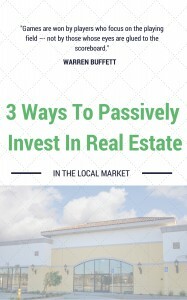 A new breed of real estate Investors entered the market that was not content to play the game in a traditional manner. The new Cash Home buyer decided that it was not going to pay inflated prices for houses especially when no one was convinced that the real estate market had really hit bottom. 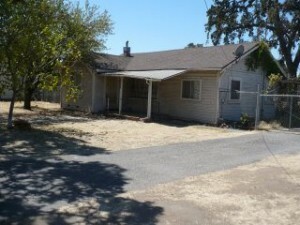 Who will buy my House in Sacramento? Westbrook REI will. 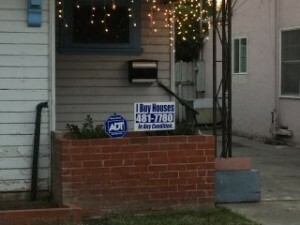 A general bypass of the traditional way to purchase houses was born and Cash Home Buyers in Sacramento became very creative is their marketing. On every street corner new signs were appearing that read “We Buy Houses”, “We Buy Ugly Houses” ,“In any Condition” ,“We Take Over Payments”. In an instant, struggling homeowners needing to sell their homes found an outlet and access for relief directly from cash home buyers, where traditional real estate agents could not help. It was a common practice to pay finders fees to real estate agents that uncovered homeowners that could not sell in a traditional manner. To make matters worse, homeowners wanting or needing to sell fast quickly realized that the involvement of a real estate agent meant an additional cost of a 3% to 6% cost (commission that the seller pays for when selling a house) for a house that in their mind was already discounted. Struggling sellers were looking to maximize every dollar they received for their homes that they needed to sell and that meant that the real estate agent was locked out once again. It’s important to remember that Real Estate Agents do not Buy Houses, they sell them to others and with no traditional buyers available, and the ability of investors to directly purchase these homes from homeowners for cash, without the need for financing, the buying and selling of houses without a real estate agent became mainstream. The real estate industry was in the same freefall as were home values. It appeared that in 2011 the only part of the industry left unscathed were those with direct access to the vast number of properties in inventory (Bank Owned Properties) and cash. This new phenomenon meant that the Cash Home Buyer took the seat at the head of the table and the real estate agent was placed in the second and third position and sometimes they did not have a seat at the table at all. In many cases even the banks that were holding a vast “shadow inventory”, negotiated sales of properties directly and independently without inviting one real estate agent. New websites emerged and became online auction and bidding houses for Bank REO’s (Bank Real Estate Owned Properties) and once again the real estate agents were left on the sidelines. Savvy real estate brokers became experts in evaluating a record number of properties coming into the banks inventories and offered Broker Price Opinions (BPO’s), but even those were not long lived as the banks soon learned that home prices were continuing to plummet and the evaluations were meaningless from what appeared to be on a month to month basis. Institutional buyers (hedge funds) took notice and in 2011 in a very public fashion began purchasing large blocks of bank owned properties across the country. They were present at county tax sales and purchased billions of dollars’ worth of real estate sight unseen. The banks inventories were so bloated with foreclosures that the thought of new additional foreclosed properties hitting their inventories had the that Banks reeling and they began negotiating directly with struggling homeowners for mortgage modifications and initiating a scarcely used strategy called Short Sales. Real Estate Agents were ecstatic, finally a seat at the table could be opening up and they fought to take it, but even the Short sales were rare and couldn’t sustain all of real estate agents in each market. The smart agents specialized and embraced the short sale along with their cash home buyer counter parts and pocket listings resurfaced. Back room deals that were purposefully kept off the MLS appeared and real estate agents that understood the system took advantage and began to make hay again. It’s interesting, but when you sit at the head of the table you become a target and Cash home Buyers were labeled by real estate agents and banks as the big discount buyers. But the numbers don’t bear that out. The reality was there were no other buyers, but real estate agents convinced homeowners wanting to participate in a short sale that finding a cash home buyer was paramount and that the only way to do that was to offer discounts. Cash home buyers embraced the concept and bought a record number of short sales for cash. 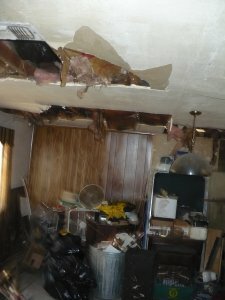 This was a necessary relationship because the struggling homeowner facing a foreclosure needed a preemptive strategy to stave off the foreclosure and the reality surfaced that homeowners in trouble had not maintained their properties and everyone knew that no lenders would finance many of these houses. BPOs with pictures were sent to banks justifying the “discounted prices and offers”. Banks also knew that they needed to sell these houses in their “As is Condition” without contingencies and without inspections. 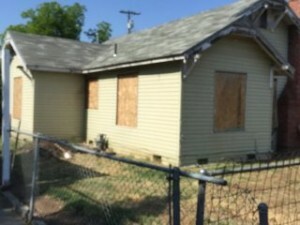 These properties were ticking time bombs to a banks liquidity and to cash home buyers they represented an opportunity buy at a price point to mitigate that risk of paying to much. The notion became engrained that cash buyers were looking for discounts when in reality the real estate market had not yet hit bottom. What discount? A cash home buyer could buy a house in a short sale that was considered a discount in one week and then the next look at the house next door for 20% less. The free fall in prices meant that any offer was a crap shoot based on current home values as evidenced by a comparative market analysis or appraisal. According to the Wall Street Journal , across the nation, Investors were finding properties and purchasing them in record numbers and in some parts of the country represented 60% of all home sales. Remember, if all things are equal the best offer is a cash offer at full asking price with no contingencies and closing in two weeks. But also remember that a house minus the option of financing is only worth what someone else is willing to pay in cash. We have a short memory as Americans and sometimes we forget what happened to the American Housing Market and history gets rewritten after the fact. It was a painful time in America and as of this writing not all parts of the country have recovered. 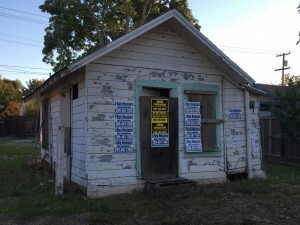 There are still shadow inventories in bank owned properties that exist, vacant houses and blighted neighborhoods, homeowners in distress facing foreclosure, a stagnant economy and an underemployed workforce, but the housing market is on the mend, for the time being. As I reflect on the past several years and the struggles of being a cash home buyer, I am thankful that I got to participate in one of the greatest recoveries in American history one house and one neighborhood at a time. I recognize that my success was a partnership with many industry professionals, including real estate agents that helped me achieve my goals. According to RealtyTrac, the cash home buyer currently represents nearly 40% of all home purchases. 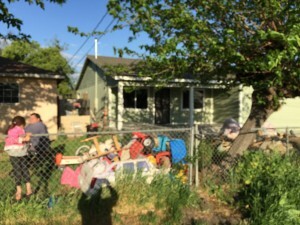 What’s interesting is even in today’s real estate market; Investors pay true market value for unwanted houses and take all of the risk one house at a time. My name is Peter Westbrook and I proudly buy houses, in their current as is Condition, without contingencies, without inspections and I even pay the closing cost. That doesn’t sound like a discount to me. 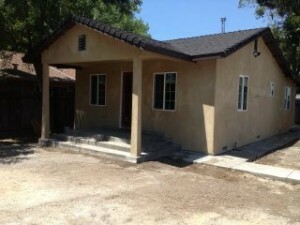 At “Westbrook REI” and “We Buy Houses Sacramento“, we are the best at what we do because we work at it every day. We understand that a commitment to customer and a commitment to our business only happens with hard work. We have years of experience and a plan that we follow. We are a real company with real people that are committed to helping you achieve your goals. 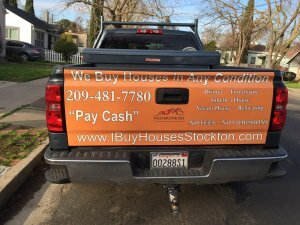 My name is Peter Westbrook and I am a local real estate investor and the owner of We Buy Houses Sacramento and Westbrook Real Estate Investments. I am NOT a Real Estate Agent or Broker and for good reason. I purchase real estate and I am NOT going to ask you to pay a commission or a fee.…I pay CASH and because I do, I can close on the day that I tell you. Westbrook REI is a real estate solutions and investment company that specializes solving complex real estate problems for its clients by finding value added real estate opportunities and executing on those opportunities to revitalize our community.